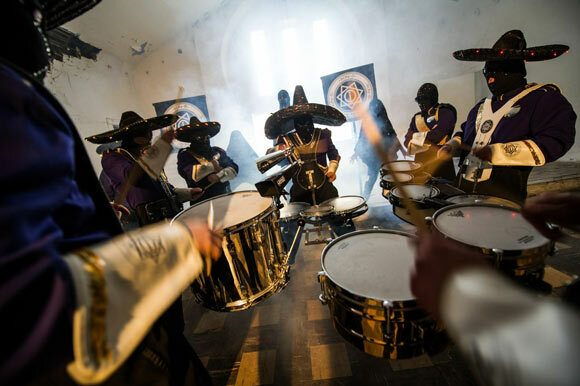 Denver's itchy-O Marching Band is a 36-piece collective and one of the city's most compelling musical acts. Imagine this: It's late on a weekend night and Denverites are out and about. Maybe they're hanging out at the latest hipster bar along South Broadway or enjoying an adult beverage at a popular downtown watering hole. There's a rumble in the crowd and the mood shifts.